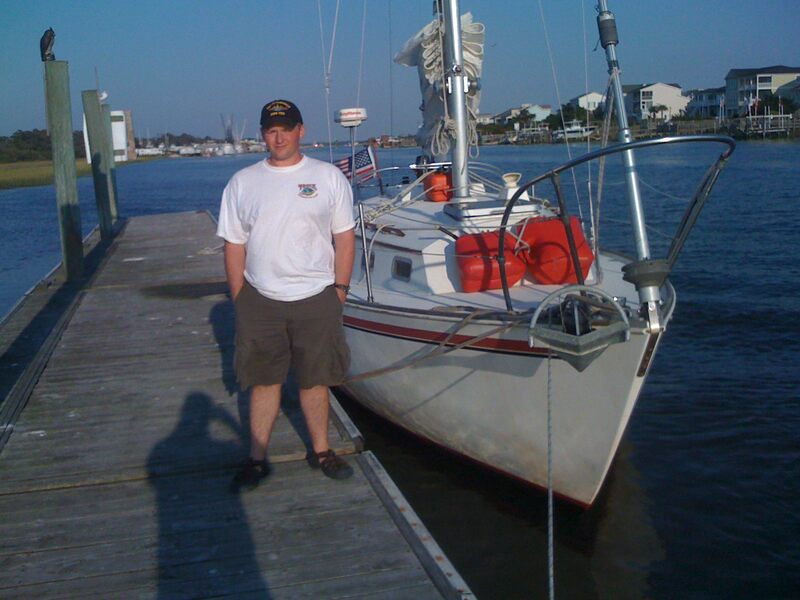 His blog was started as a journal to keep track of his events as he sailed down the Intracoastal Waterway (ICW) in October. Our little sailboat, Icefire, a 28 foot Sabre, was in Annapolis , MD. It had been trucked there from Groton, Connecticut. (The trip from Yarmouth, Maine to Groton, CT is a long drawn out story involving a Coast Guard rescue that we can talk about at a later date!) Alexei drove to Annapolis in October and prepped the boat, along with his dad and a guy he met on a sailing forum, and headed down the ICW from Annapolis, MD to Charleston, SC. It took him 14 days. He kept a pretty good journal in his blog. He currently writes in his blog about the goings on at home, and likes to talk about his favorite two things….Redskins football and politics. If you are remotely interested in either I highly suggest his blog, or if you are just in the mood to get into a good argument with him….head over there for that, too! He loves to argue! Thank goodness for washable Crayola…..